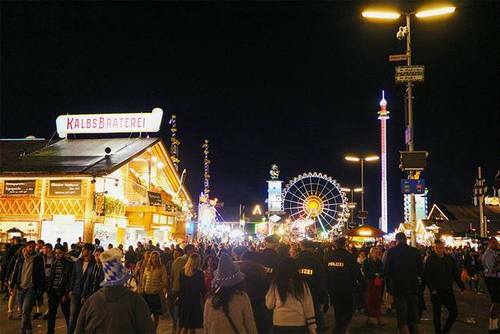 Oktoberfest in Munich, Germany is an amazing festival with over 6 million people taking part every year. 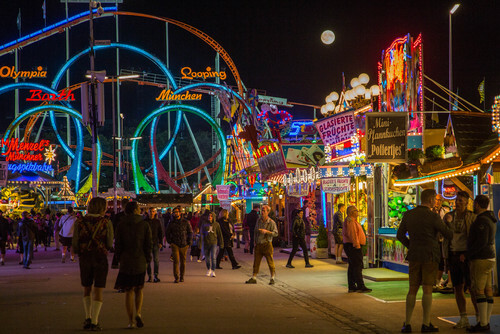 If you are planning a visit to Oktoberfest for the very first time and would like to have an epic experience, check out Kira Pearson's top tips and things you should know before departing. This is often contradictory to what I would recommend, because it is often the more expensive option. However, I was trying to figure out how to get their on my own and book my own accommodation, etc. and it worked out to be the same price, if not a bit more than what tour companies were offering as an all inclusive package. 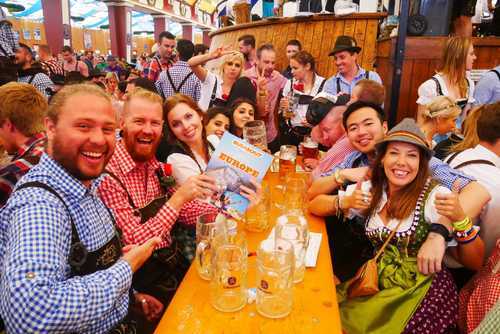 Lots of local and international travel companies offer Oktoberfest tours and packages and it is essential you book a place in advance as spaces full up quick - 6 million people visit every year! 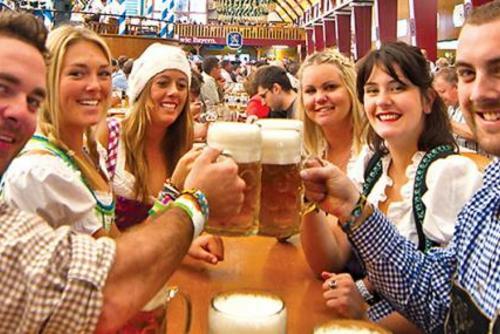 The company I booked with was Stoke Travel who offer a 3 day Stoketoberfest package. 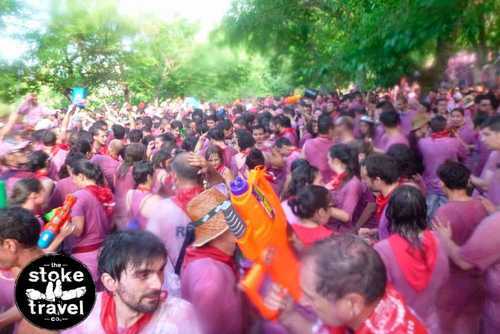 I swear half of the fun (if not more) was just being a part of their group and the awesome atmosphere. If you are keen to book the Stokeoberfest package with Stoke Travel enter code ONEWORLD365 when making your booking and you will get free unlimited beer and sangria and a discount of €10 per day! You would think that staying in a hostel or a hotel would be the way to go. Nuh-uh, not with Oktoberfest. Camping made Oktoberfest feel like a much greater experience because half of the time you would be out in the beer gardens, but then they shut down around 10pm so the rest of the night you get to hang out and party with people from your tour company at your campgrounds. Also nothing beats the camping lifestyle during a festival like this, everyone becomes more carefree because we know we all aren’t showering for the next couple of days. I was there for 3 days, 2 nights and I could have done with one more. 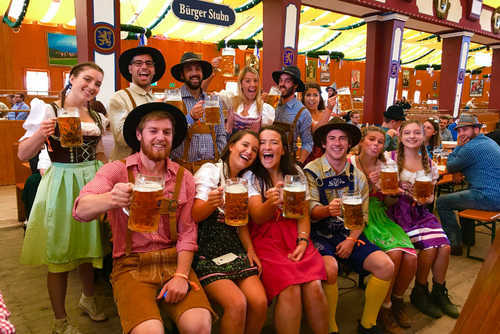 We never actually got a chance to go into Munich because we were too busy with the beer tents and partying on the campground with everyone. We tried to go to Munich on our last day but everyone was having too much fun that it made it hard to leave. 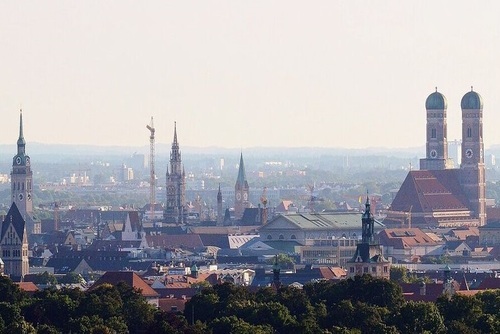 During the day it’s quite beautiful in Munich, mid 20’s typically during the dates of Oktoberfest. However, at night it can get really cold so make sure to bring some fleece and warm socks with you, it will make all the difference! Someone in my group even brought those little heat pockets you can snap and make warm to throw in their sleeping bag, super smart idea! 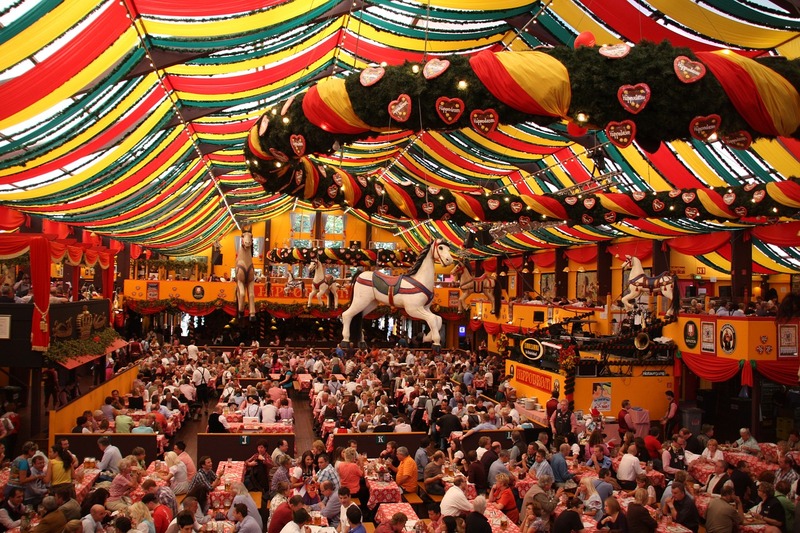 Every Oktoberfest / Germany tour company is different, sometimes you will get a full tent, sleeping pad, sleeping bag, pillow, breakfast, lunch, dinner, etc. Sometimes they aren’t able to provide everything, which is totally understandable as well given the size of groups they take on. So just make sure you know what you’re getting, and what you need to bring before you come. A lot of people hadn’t realized they needed to bring a pillow in my group so there were a lot of stiff necks that weekend. 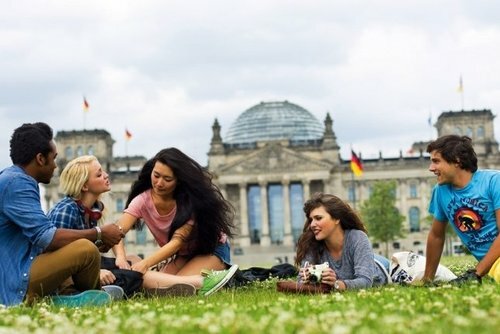 Although you can easily meet people if you are heading there with a tour company (as recommended above), however a lot of people are already coming in groups with their friends so you might feel a bit awkward. Either convince people from your hostel to go, or go with the friends you are travelling with, but going with a big group was such a fun time and I wouldn’t do it any other way. There was around 11 of us that all bussed in together from Amsterdam and we had the best time ever! 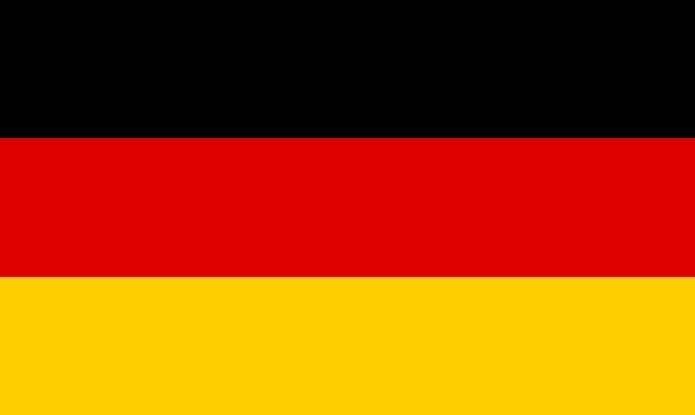 Even though you can easily get by in Oktoberfest without speaking German, it is really polite to at least learn the basics like hello, please, how much and thank you. 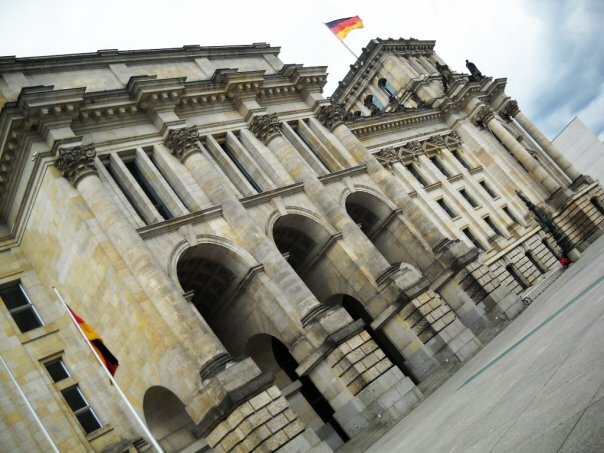 Check out some useful German words and phrases before departing and impress the locals on arrival! There you have it guys, how to get the most out of your Oktoberfest experience. I have been travelling for 5 months now, and this has definitely been a top highlight in my world trip. Will for sure be going back again another year. Hope you found this post useful and inspiring for you to go one year too! 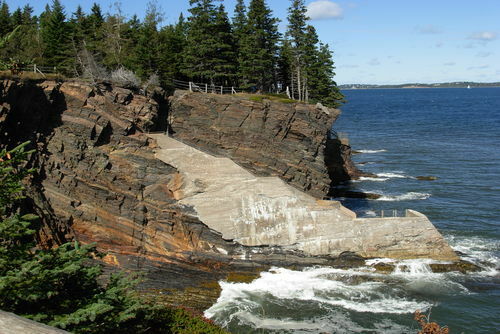 You might also like to check out Kira's blog www.kiramichelle.ca or search more festival tours worldwide. 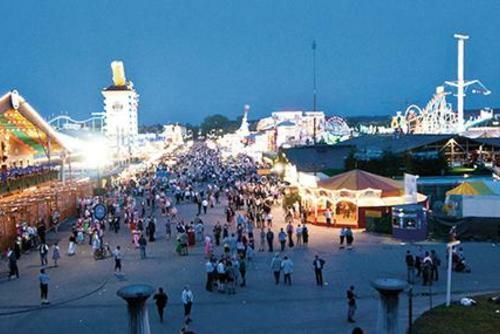 Or if you have any recommendations to share for Oktoberfest leave feedback in the comments section below.